Everything you need to know about shipping pallets #makerbusiness « Adafruit Industries – Makers, hackers, artists, designers and engineers! 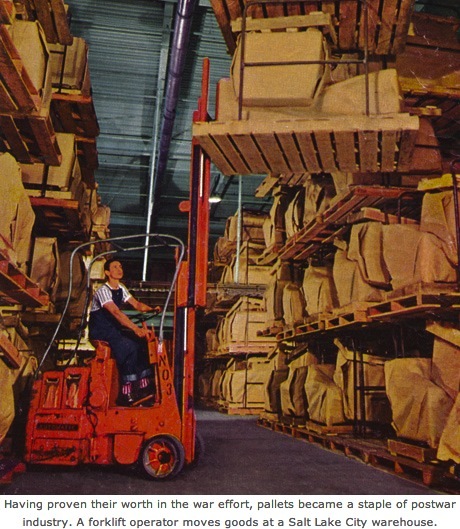 There are approximately two billion wooden shipping pallets in the United States.1 They are in the holds of tractor-trailers, transporting Honey Nut Cheerios and oysters and penicillin and just about any other product you can think of: sweaters, copper wire, lab mice, and so on. They are piled up behind supermarkets, out back, near the loading dock. They are at construction sites, on sidewalks, in the trash, in your neighbor’s basement. They are stacked in warehouses and coursing their way through the bowels of factories.